Our beloved Husband, Father and Grandfather Ralph E Krueger died on March 13th at the age of 81 surrounded by his close family. Ralph was born May 2, 1936 in Clintonville WI. Son of Clarence and Anna Krueger. Ralph joined the navy at the age of 17. While serving he met the love of his life Barbara, they were married 61 years. They have two children Paul (Sandy) and Melinda Orth (Brian). They have six Grandchildren, thirteen Great Grandchildren and three Great Great Grandchildren. 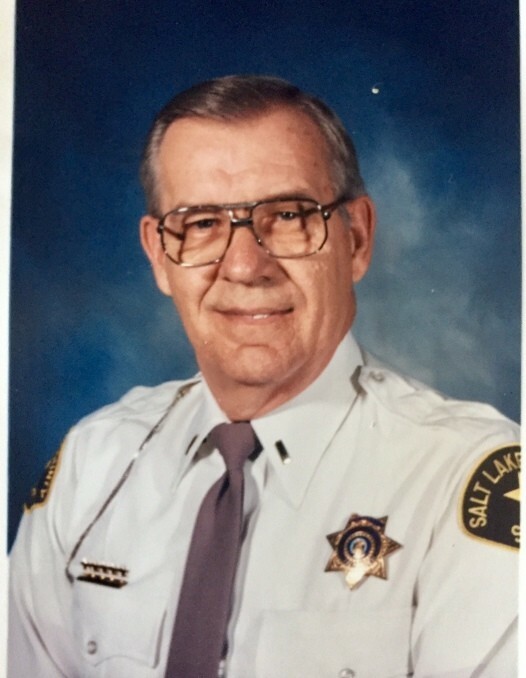 Ralph proudly served with the Salt Lake County Sheriff’s Department for 30 years, retiring as a Lieutenant in 1994. A celebration of Ralph’s life is being planned for a later date.